Asbestos defendants are frequently faced with medical causation testimony from the plaintiff that asserts that, because there is no “safe” level of asbestos exposure, any exposure above some ill-defined “background” level is a substantial contributing factor to the plaintiff’s asbestos-related injury. This theory has become the centerpiece of modern asbestos litigation and discourages minimal exposure cases from going to the jury. However, a strong defense can be mounted to a minimal exposure case, particularly if plaintiff alleges exposure to chrysotile asbestos fibers. 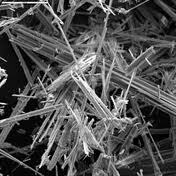 For the toxic tort defense lawyer, an understanding of the two major families of asbestos is critical. From a toxicity standpoint, amphibole asbestos fibers are more potentially toxic than fibers of the serpentine family. Amphiboles tend to: (1) be acid resistant; (2) be persistent in the body; (3) be straight fibers; and (4) contain iron. By comparison,chrysotile asbestos, a member of the serpentine family, has a much more lower toxicity profile, particularly in low exposure settings. Chrysotile: (1) breaks down in the body; (2) is acid soluble; (3) has a soft pliable curly shape; and (4) contains dissolvable magnesium. Because the body handles chrysotile fibers differently, chrysotile is much less potent than amphibole asbestos. An examination of the toxicological literature demonstrates that the mesothelioma mortality risk is much greater from amphibole exposure as compared to chrysotile exposure. At a meeting of the IADC in February 2012, William G. Hughson, M.D., D.Phil., expressed criticism of the expert opinions commonly expressed by plaintiff experts in asbestos cases concerning chrysotile. Dr. Hughson is the Director of the University of California at San Diego Center for Occupational & Environmental Medicine. Dr. Hughson rejects the view that any exposure above background is a substantial contributing factor to disease and that dose has no bearing on causation. At the same meeting, Bob Manlowe, a lawyer with Seattle-based Williams Kastner, delivered a paper titled, “Literature Refuting Single-Fiber Theory and Zero-No-Threshold/Linear-Dose-Model.” For the asbestos practitioner, the two papers provide a valuable road map to cross-examining plaintiff experts and defending mesiothelioma cases involving chrysotile asbestos.